It occurred to me this past weekend, I’m kind of going to a type of grad school. I was looking through my personal email folders and realized I have taken a lot of courses over the past few years. Most of what I’ve read also has something to do with my education. I know a few things about these subjects I’ve been lucky enough to study. Maybe, I can even say I’m a bit of an expert. OK, maybe that stretches it too far. But I feel more knowledgable, for sure. My husband and son went camping and my daughter and I had the house to ourselves. The weekend stretched in front of me like a blank slate. Uninterrupted time to go wherever my mind wanted to take me. 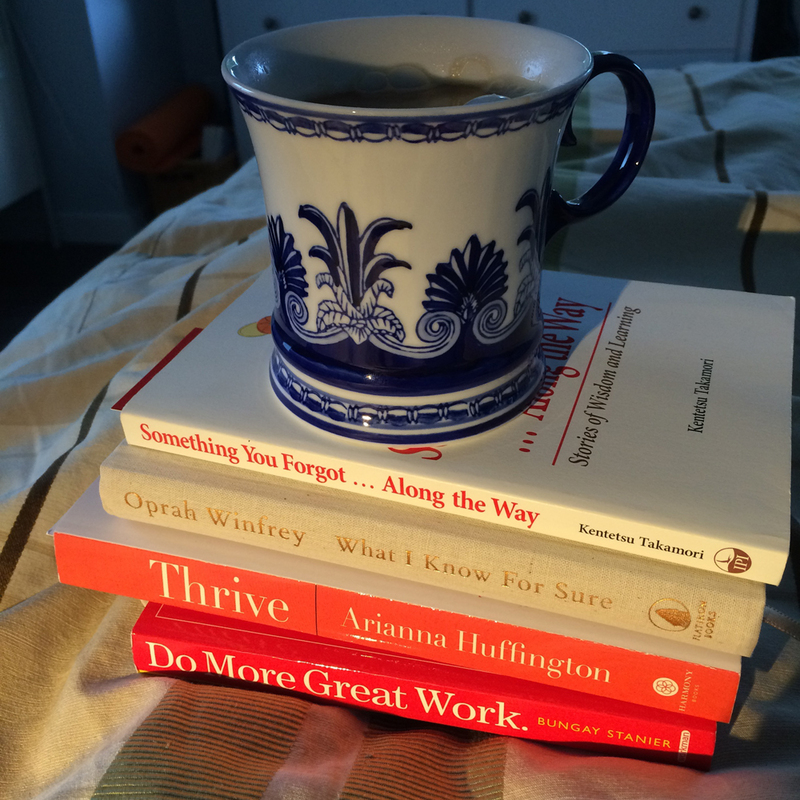 When my husband came home, he commented how cluttered the bed was with all my learning materials. 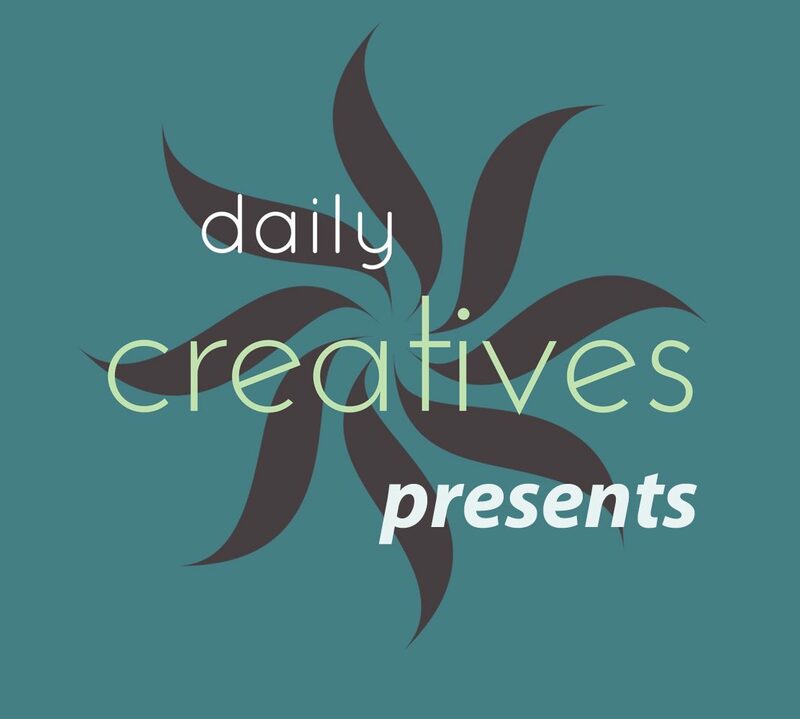 Books, computer, art supplies, iPad, journal, pens, coloured pencils, day-timer, etc. I was in heaven. He shook his head. Saturday kind of evaporated. We had stuff to do, chores to finish, groceries to buy, my daughter wanted to bake. But Sunday, oh lovely, blessed day, we had all to ourselves. Since I was in bed so early Saturday night, I was up early. Weather looked poor, so I was going to read…. 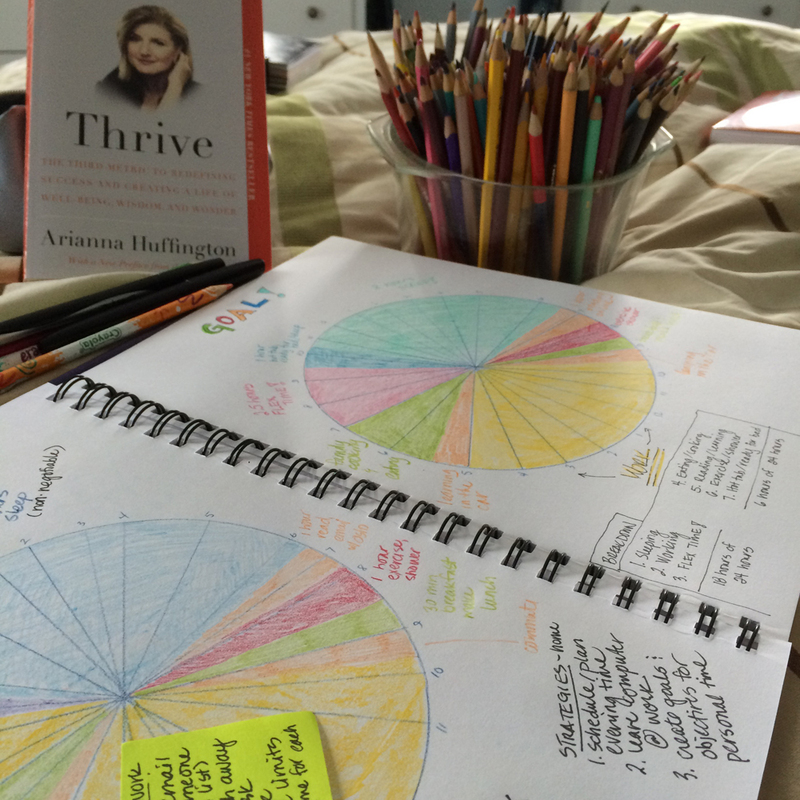 Then I was inspired to complete an exercise from last week for my “Thrive” course being taught by Arianna Huffington. I have been wanting to do something like this for a long time, was even on my list of goals for this year. Now a third chart needs to be completed, what do I wish the chart could look like? My daughter finally woke up and we had to be at the White Rock Farmer’s Market. 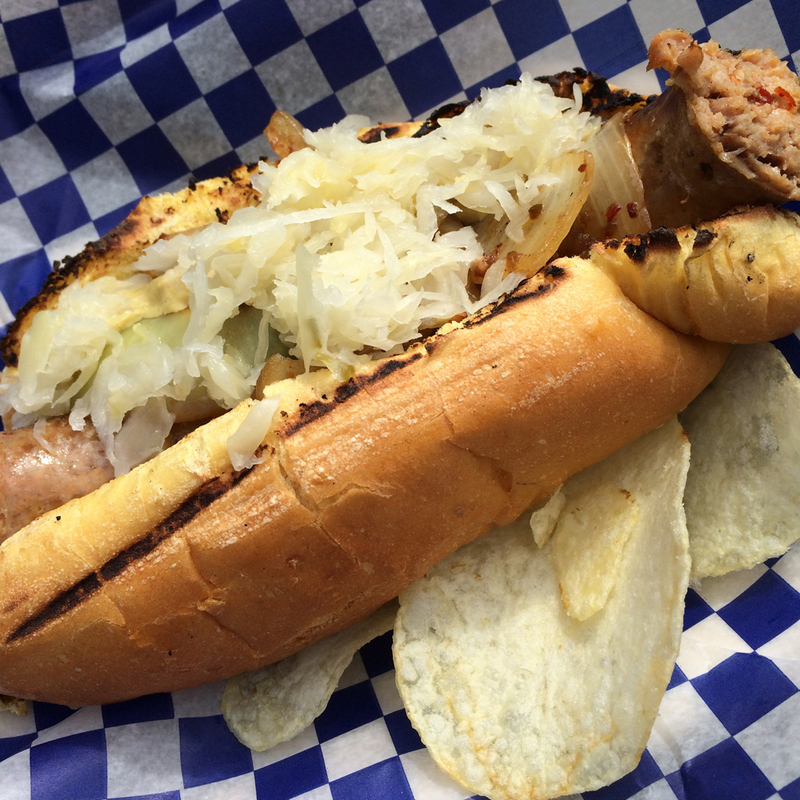 Even though a chorizo hot dog is NOT on anyone’s diet, it had to be done. 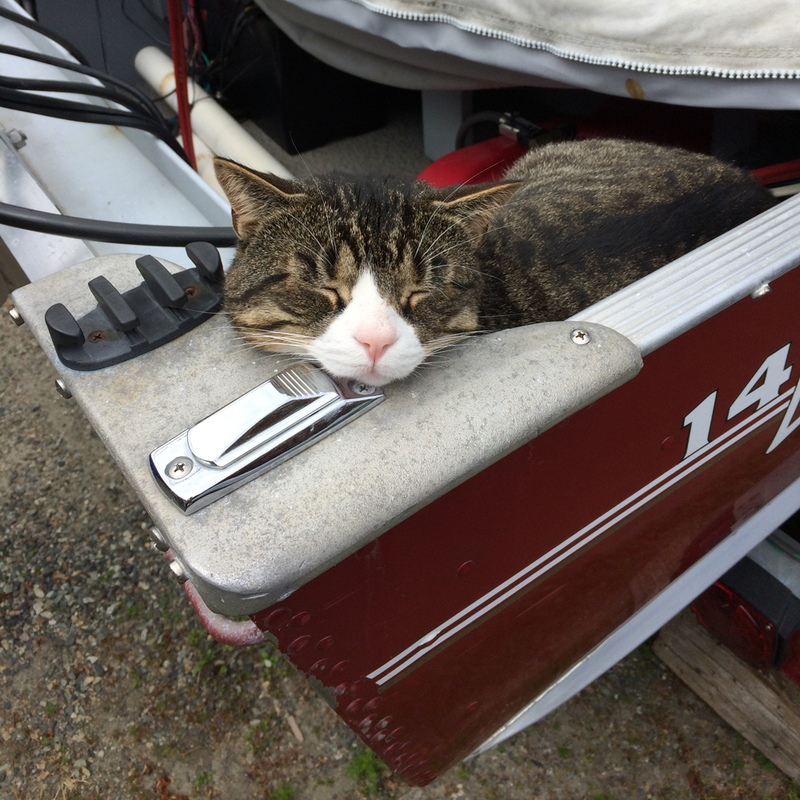 Later in the afternoon, I just had to take this photo of our cat – snoozing in the boat. How cute is that? My next phase in education arrived today. 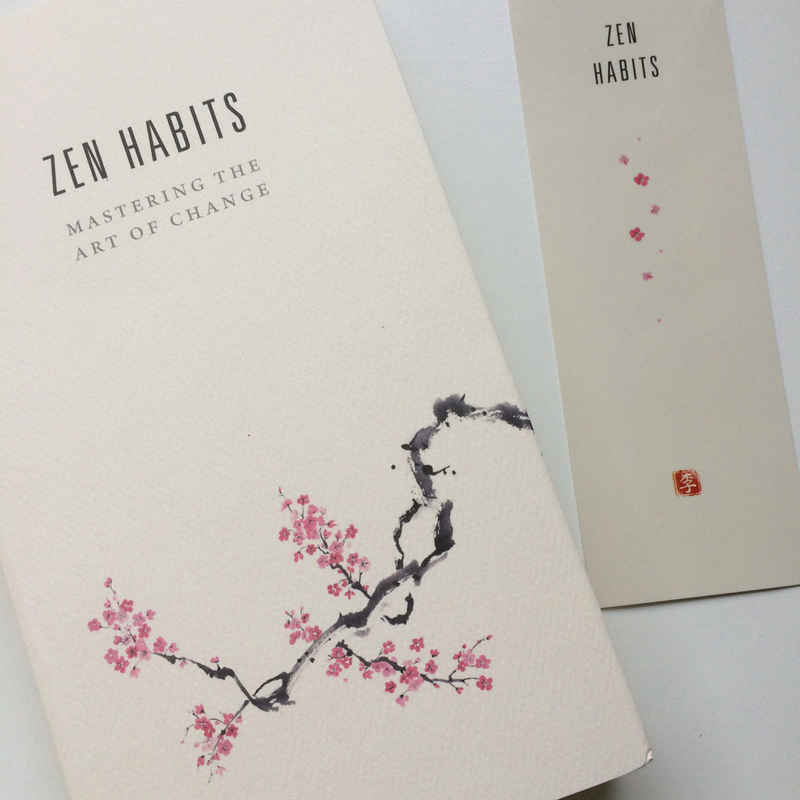 “Zen Habits” by Leo Babauta, a project I helped fund through kickstarter. What a wonderful world!